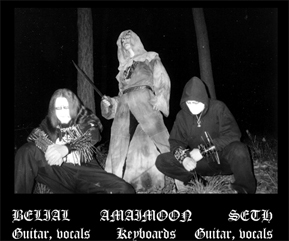 Moontower was formed in 1995 by Belial. 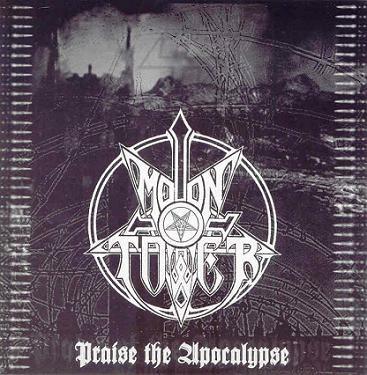 Moontower was originally titled Funeral Moon, but in 1996 Belial recorded a rehersal tape and decided to change the name Funeral Moon to Moontower. Nothing went on until 1999, this is the year when new members joined Moontower, Seth on guitars and vocals, Amaimoon on bass and keys, and Rafal K on session drums. In the year 2002 both Amaimoon and Rafal K left Moontower, some recordings were done with drum computer and since 2005 Moontower has a full line-up again. Moontower has always been AntiChristian and is also influenced a bit by the National Socialist belief system. "It's because catholic church is truly disease in Poland. It affects my own life much more than jews, niggers etc. I think there's still some place for nsbm but it's not the same with the original, true Black Metal." - interview from ISO666 webpage.